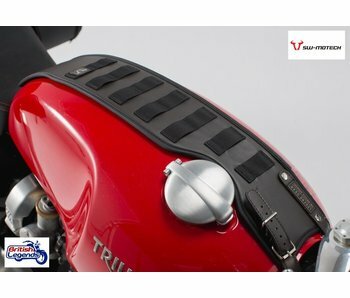 Vintage look tank strap for Triumph Twins. Perfectly suits the bike line thanks to its specific design for these models. SW Motech, German manufacture. 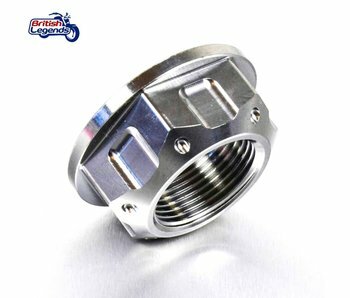 Sump guard for engine protection in solid aluminium, for Street Twin, Street Cup, Street Scrambler, Speed Twin, Bonneville T100/T120 and Thruxton 1200/R. 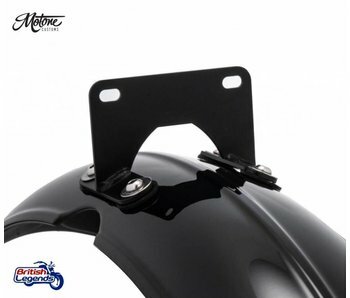 Tail tidy for a simplified look at the rear of your Triumph Bobber or Speedmaster 1200. Complete kit, ready to fit. 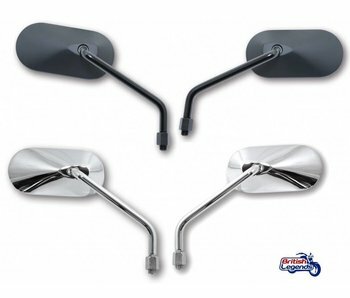 Universal mudguards in raw steel for bobber/chopper/caferacer building. Many sizes and versions to choose from for every application. 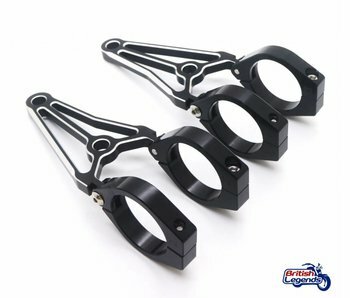 Pair of headlight support arms to give your bike a distinguished and sporty look. Solid aluminum, satin black finish with contrast alloy edges. Stainless steel 2-into-2 exhaust line with slashcut side outlets. Road legal in Europe (re-uses the original cat-converter). Hand-made in Italy, excellent quality. Complete kit for the removal of the AIS recirculation system (Air Injection System), for a better engine operationon Triumph 955 and 1050cc Triples. YSS kit to transform dynamically the front of your bike : adjustable fork caps, progressive springs, reinforced valves. 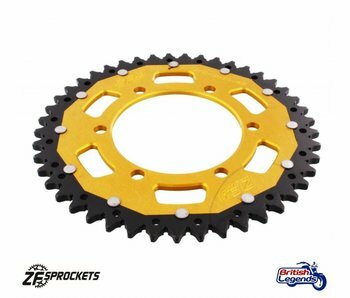 For a more stable front end and better road dynamics! Used to re-position the front fender (mudguard) under the lower fork yoke, for better off-road capability and looks on your Triumph Twin. 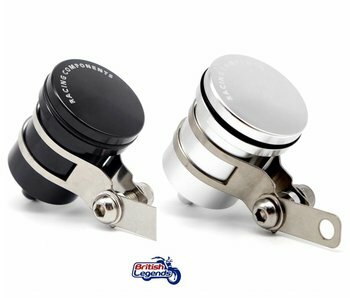 Complete 2-into-1 system in brushed stainless steel for Triumph Twins 900/1200cc from 2016+. 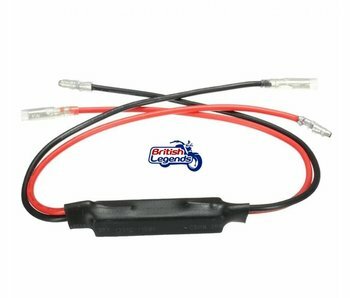 Complete kit to fit a fork damper on your Triumph Twins for better stability and road behaviour. Complete kit for the removal of the AIS recirculation system (Air Injection System), for a better engine operation on 675cc and 765cc Triumph engines. Pair of manifolds fins, to complete the retro look of Triumph Twins. 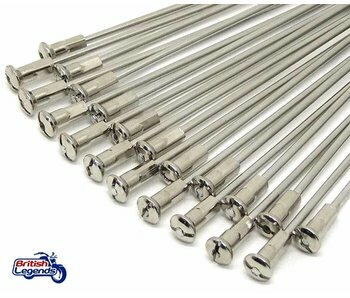 Stainless steel wheel spokes for Triumph Bonneville (2001-2016) and Scrambler 900 (2006-2016). 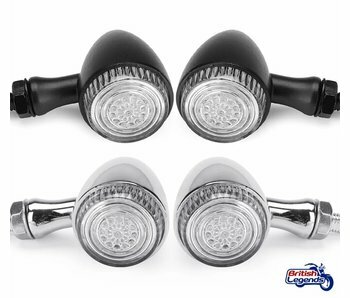 Direct replacement of the original headlight, with a smooth makrolon "glass" for a modern look.